Zuan Yuan, One World Hotel: I Love Hong Kong! Food in Hong Kong has no boundaries and today, the cuisine is simply a haven of traditional and modern fare all united harmoniously by the F&B industry. Hong Kong cuisine features a sizable portion of Cantonese cuisine and centers on the freshest ingredients possible straight out of Mother Nature’s offerings. 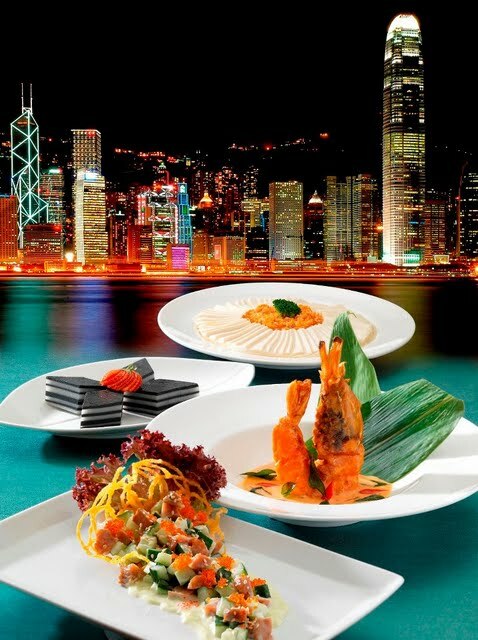 Inspired by the gourmet paradise of Hong Kong, Zuan Yuan Chinese Restaurant is proud to present their ‘I Love Hong Kong’ Promotion at One World Hotel starting October 1st to 31st, 2011. Executive Chef Michael Chew has concocted a whole menu based on the gastronomic fare of the cuisine on the island! We started off with a cold appetizer of Sea Conch with Cucumber in Wasabi Sauce (RM18 per portion). Sea conch is basically a species of large sea snails which has a high spiral shell and is categorized as gastropods. Ok… sounds weird for the unadventurous but do at least try this as it is quite similar to the texture of abalone in my opinion. Cubes of bouncy sea conch has been harmonized with crunchy cucumbers and dressed in a light creamy wasabi sauce. I love the various textures in this dish and the wasabi was a light hint, lending a creamy edge to the dish instead of overwhelming it. Poached Bitter Cucumber “Sze Chuan” Style (RM12 per portion) was a sight with its bright hued green contrasting against the fiery looking red sauce. It certainly takes great skill as I didn’t tasted strong bitterness in the bittergourd but only a gentle hint and softness of the gourd. The spicy Sze Chuan sauce was beautiful against the gourd, creating a medley of spicy and savory flavors featured in boldness. The glorious golden sunshine of Wok Fried Tiger Prawn with Special Sauce (RM28 per prawn) was such an impressive vision. The huge crustacean sitting in a pool of creamy buttery sauce hinted with curry was every bit as delicious as it looks! In this dish, I assured you that no sauce was wasted as the luscious cream with a hint of spice was mopped up with rice and every possible cutlery there!! Chicken is one of the most common meats among us and yet, I still find many ways to enjoy this thoroughly. Braised Chicken with King Soya Sauce Served in Clay Pot (RM20 per ½ bird) was tender, savory and fragrant from the secretly guarded braising sauce made with king soya sauce. Chef Michael whispered that his secret is to use a decent sized chicken weighing about 1kg to ensure silky and tender meat in the dish. A balance of soya sauce and other liquids is the key to the scrumptious flavors to this dish. The braising chicken is a truly comforting dish at heart which most will enjoy with a bowl of hot steamed rice. Braised Cod Fish with Morel Mushroom (RM22 per portion) features a delicate combination of a thick piece of sweet cod fish harboring morel mushrooms and black fungus. The gentleness of the fish is light while the twist of the expensive morel mushroom was a delight. Morel mushroom retained its slightly crunchy texture and perfumed the dish with an earthy aroma. Braised Bean Curd with Egg and Tomato Sauce (RM22 per portion) was presented with such skilled from the thinly sliced pieces of bean curd to the boldness of the red egg sauce in the middle simulating a flower. This dish truly represents Hong Kong cuisine in the sense of showcasing simple ingredients against bold culinary skills and flavors. The gentle sour and sweet tomato sauce coupled with egg heightens the plain bean curd to a sense of contentment in my meal. When I saw crispy rice in the dish of Assorted Diced Sea Food with Crispy Rice in Lobster Soup (RM13 per person), I immediately hope that I won’t be getting mushy rice soaked in broth. To my delight, I got a bowl of fairly thick seafood soup filled with chunks of prawns, scallop, mushroom, and long beans providing textures and flavors to crispy and crunchy rice pellets. The flavors were wispy and delicate and reflected a sense of solace to warm up one’s tummy! Honey Glazed Boneless Chicken topped with Crispy Ginger Flakes was not in the promotion but rather a dish that reflected Chef Michael’s signature dish at the restaurant. This dish was finished within seconds as everyone unanimously concluded that the crispy chicken in the sweet sticky sauce was fabulous against the super thin crisp ginger. No ginger was left behind on the plate… hehehe (it was that good!). When the Black and White Sesame Glutinous Rice Cake (RM12 - 4 pcs) arrived, everyone was curious about the dessert at first sight! Black and white layers consist of black and white sesame flavors and the rice cake was slightly chewy but full of sesame aroma. Decent and unique is the term to classify this dessert. Last but not least, Mango and Avocado “Ying Yang” Style (RM12 per portion) was another contrasting vision of bright yellow mango puree against apple green avocado puree. I sampled both individually and thought they tasted mediocre but once I combined both flavors, the dessert seems to taste better. Light and quite refreshing, this dessert is a lovely ending to my meal. Executive Chef Michael Chew has over 24 years of experience in the food industry and seems to master the talent to control his refined Cantonese cuisine very well. All dishes have a good balance of taste and flavors. His dishes are light and showcased various textures to contrast the dish well so that one does not get bored eating his dishes. I also love the fact that I was not left with the heavy feeling after a lovely course meal as such! Do check out the I Love Hong Kong promotion available from October 1st to 31st at Zuan Yuan Chinese Restaurant before it ends! *Thanks to May and Sid for the invite! ** Pictures without watermark are curtesy of One World Hotel. Red Carpet Avenue, Encorp Strand: Rolling out the Red Carpet in Glamour with Carnivale! Upon arrival, the weather caved and a very light drizzle of nature’s water start to flow like a wisp of mist. Important guest and media were already trickling in and were lounging on the red carpet with canapés and drinks! 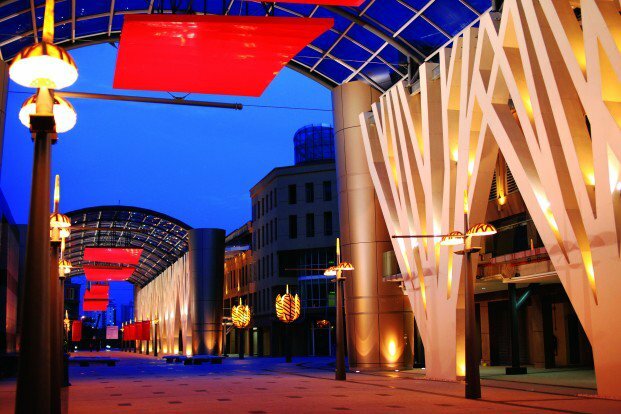 Designed by world-renowned French architect Nicholas Ayoub and inspired by the infamous Champs-Elysees in romantic Paris, Red Carpet Avenue is the longest, covered climate controlled alfresco boulevard to be built in the Klang Valley. Equipped with state-of-the-art sound system, specially designed lighting and fibre-optic cables, the boulevard has been seamlessly embedded for a complete ‘plug & play’ experience for infinite events to come. Framed with F&B outlets along the boulevard have already ignited gossips on the luscious cuisines to be savored here! Located in the Golden Triangle of Petaling Jaya, Encorp Strand, Red Carpet Boulevard is only part of the plan for the area. Expect more to come in this location with Business Suites, Garden Offices, The Mall and Residences. Encorp Strand offers the experience of life and celebration, an avenue ‘Where Everything Happens’. The event in collaboration with the main partner, Celcom Axiata Berhad, features the significant blue Celcom booth along the avenue. The Red Carpet Avenue was graced by the Deputy Prime Minister of Malaysia, YAB Tan Sri Dato’ Hj. Muhyiddin Hj. Mohd Yassin who also officiated the launch of the avenue. Alongside with him was Encorp’s Executive Chairman and Group Chief Executive Officer, YB Sen Dato’ Sri Effendi Norwawi. The curtain-raiser at the launch featured a 75 dancers fusion Malaysian Dance Performance, followed by a street parade filled with top school bands, championship cheerleaders, The Cube and more. In revisiting true Malaysia pride, a story on Malaysia’s achievements over the years was showcased through a remarkable video projection mapping technology that spans across a long rectangle building. A stand out feature at Carnivale was the Ikhlas concert debuted in 1991, the brainchild of renowned composer and music director Roslan Aziz. After 20 years of claiming title of one the most memorable and successful concerts of the era, the concert has now gathered a new breed of talented local artistes and bands at Carnivale with artistes like Reshmonu, Bunkface, Aizat, Joe Flizzow, Atilia and Bettery Headz as well as guest performer Amir Yusoff. Emcee for the night was the lovely Yasmin Yusoff who braved the drizzled and still managed to dazzled the guests with her charm. “Carnivale is a unique experience because it blends two exciting elements that have a common ground – celebration. Red Carpet has been designed to celebrate life and what better way to celebrate Malaysia Day at our grand launch. It is a special day for all of us as Malaysians,”said Encorp’s Executive Chairman and Group Chief Executive Officer, YB Sen Dato Sri Effendi Norwawi. The Deputy Prime Minister of Malaysia, YAB Tan Sri Dato’ Hj. Muhyiddin Hj. Mohd Yassin presented his speech to inaugurate Red Carpet Avenue Launch. Famous faces that night included radio announcer, Non and his wife Daphne hanging out with the architect’s son Alexander Ayoub. 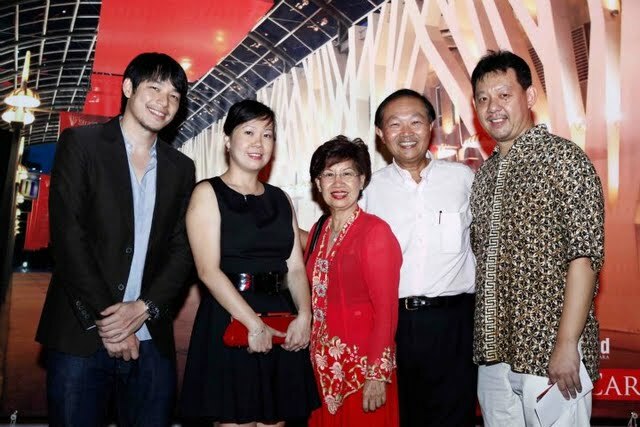 The ever charming Alan Yun was also present with celebrity chef Florence Tan and guests. The parade began with The Cube, a multimedia branded channel created to fulfilled consumers’ need to access content on any device while on the move, at home, at work or at play. The Cube, which also integrates incredible music, entertainment content and social networking services, is currently exclusive to all Celcom customers. The 1st band came marching down the street all dressed in white. Filled with musicians of all age, the mix of local music instruments was fabulous. I love the little boy on the left in the band! He was just too adorable as he was so focus on the drums and played exceptionally well for his age! We had our 1st champion cheer group that showcased their skills at cheerleading. Then came my favorite artist of the night showcasing Drum Core! These guys were awesome with their drums!! The parade proceeded with more bands and cheer groups presenting their piece for the crowd followed by the Ikhlas 2011 concert. Unfortunately, I got hungry and went in search for some grub so I missed this… read on in my following posts on what I indulged on later… wink wink! The event ended with a whimsical display of gorgeous fireworks which I managed to catch on my lens. *Pictures without watermark are courtesy of Encorp Strand. 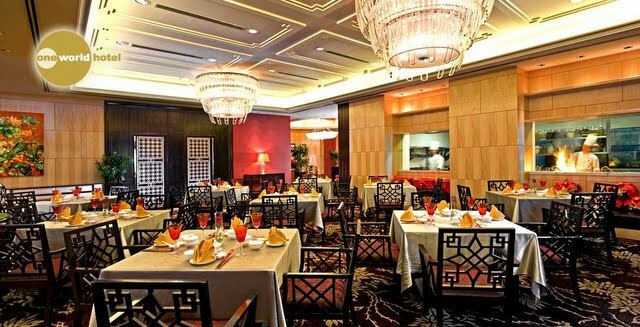 Tai Zi Heen, Prince Hotel & Residence Kuala Lumpur: Feast on Sumptuous Chinese Tapas! A truly fabulous concept by Tai Zi Heen, Chinese Tapas Promotion is created for connoisseurs (or simply a foodie like me!) who seek a multitude of dishes when dining out. On the norm, people are only able to order a few dishes to be shared due to portion wise… thus leading to the question on what if there are only two of us but we love to savor many types of dishes? That’s when the brilliant tapas concept of a plethora of appetizer portions dishes fits perfectly! One can enjoy a diversity of Chinese dishes and dim sum as an entire meal or just a small snack with the concept. 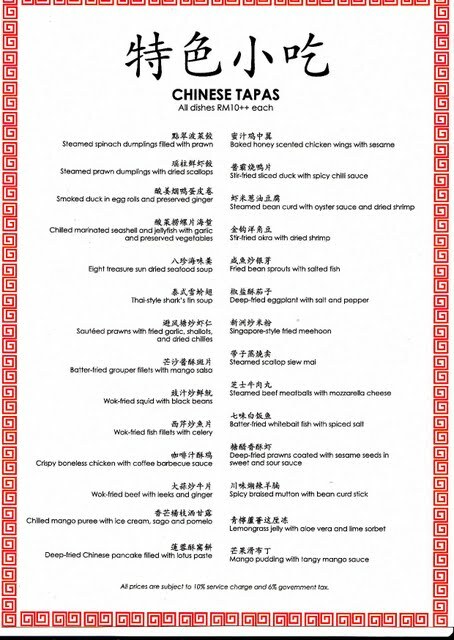 Tai Zi Heen is proud to present its Chinese Tapas menu at Prince Hotel & Residence Kuala Lumpur for the month of September and October 2011. Let’s check out what fabulous tapas there is with this promotion. The steamed Dim Sums were delightful as they were easy to savor with fresh and gentle flavors. A unique twist is the Steamed Beef Meatballs with Mozzarella Cheese which doesn’t seem to sound right but tasted beautifully. Meatball was tender with slight “QQ” texture and the cheese seems to lend the creamy edge to this really well. I tell you what’s fabulous from its modern twist of tapas – Smoked Duck in Egg Roll with Preserved Ginger! Simply outstanding with tender smoked duck breast enveloping a wedge of wobbly crystal century egg and sliced preserved ginger with scallion. Flavors were bursting with salty, sweet, sour and freshness as the roll was such a heavenly creation. Be warned, one plate is NOT enough!! Noteworthy dishes are Sautéed Prawns with Fried Garlic, Shallots & Dried Chilies, Stir-Fried Sliced Duck with Spicy Chili Sauce and Wok Fried Beef with Leeks & Ginger. Prawns were juicy and bouncy with a heavenly combination of garlic, shallots, onions, black bean & dried chilies, making it pungent and delicious. Sliced lean duck was slightly salty but would have gone beautifully with white rice. Nevertheless, I still enjoyed the spicy duck slices a lot. Beef was tender and enhanced with lots of leeks and tasted wholesome and light. Spicy Braised Mutton with Beancurd Stick was decent. The meat was superbly tender but the flavors were a bit heavy. Baked Honey Scented Chicken Wings was finger-licking good! Sweet and sticky, dived into perfectly coated wings with perfumed honey goodness guaranteed to satisfy wing lovers out there. Desserts are summed up as simply out-of-this-world at Tai Zi Heen! I have been there a few times and desserts are always my all-time-favorite at the restaurant. Their signature Chilled Mango Puree with Ice Cream, Sago & Pomelo is extraordinary with smooth thick mango freshness, chunks of mango, sago and bits of pomelo sacs all chilled with luscious vanilla ice cream! Simply a lethal dessert worth its weight in gold!! Chilled Lemongrass Jelly with Aloe Vera & Lime Sorbet was another magnificent dessert in my books. The lemongrass jelly with aloe was quite ordinary till one tries it with the citrusy lime sorbet which instantly turns this dessert into a refreshing one full of textures and flavors with a zing! The third dessert is NOT in the Chinese Tapas promotion but I felt it deserves a mentioned as it was superb. I am not a fan of almond milk because I do not like the smell of the dessert. However, the Almond Milk Soup with Black Sesame Tang Yuen at Tai Zi Heen is marvelous and executed with such class. Hot Almond Milk was surprisingly light and creamy without being overpowering as per its normal aroma while the sweetness was well balanced. Balls of soft and slightly chewy glutinous rice ball filled with jet black creamy sesame paste was gorgeous. I stole quite a few mouthfuls of the almond milk. This one is worth an order if you are looking for a soothing dessert after your lovely meal of tapas!! Tai Zi Heen is helmed by Chef Ricky T., a distinguished chef of many awards, who has produced many sumptuous and creative dishes where you can read all about it in my previous visit1 and visit2. Together with Executive Sous Chef Alex and Asst. Chinese Chef Liang, Tai Zi Heen has showcased much marvelous Chinese cuisine with a modern twist and extraordinary promotions! Tai Zi Heen’s Chinese Tapas Menu promotion is available from September 1st to October 31st, 2011 for lunch at 12.00noon to 2.30pm during weekdays only. All dishes are priced at RM10++ each as stated in the menu above. *Thanks to Tina & Travis for the lovely invite! Din Tai Fung: For the Love of Dumplings! Tiger Street Football Contest: The Winners! Hope, Faith and Pray for D.